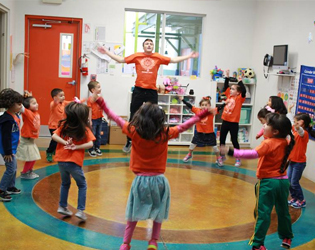 Learn more about the various programs we offer for the children at our learning center! Someone goes with me to school. Infant stimulation can help improve attention span, memory, curiosity and nervous system development. In addition, stimulating your infant's senses will enable them to reach milestones faster, as well as aid in the progression of motor skills. ֎Close contact encourages strong bonds between parents and child. ֎Touch stimulates all senses, speeding myelination of the brain and nervous system as well as brain activity; to increased attentiveness, stimulating intelligence, and language development. ֎Increases the body's production of beneficial hormones, as well as reduces the production of cortisol - the body's stress hormone. ֎Eases colic and gas; reduces the pain associated with constipation and teething. ֎Enhances neurological development and muscle tone. Each and everything your child is exposed to will capture his attention and will be fully explored with their eyes, ears, mouth, nose and fingers. Once they experience something that they find pleasure in, your child will strive to learn more and more about it! You, as parents, can provide your infant with opportunities to experience different stimuli to further pique their curiosity and make them want to learn more. Facilitates your child's cognitive development; it is the perfect opportunity for you to bond with your child. Your baby develops both motor and communication skills through play. Even if your infant is too young to speak, he/she will learn to express how they feel through facial expressions, gestures and sounds. Identifying these expressions verbally by using simple words such as 'happy,' 'sad' and 'excited,' will enable your child to associate the words with their feelings. Illustrates the meaning of words through multiple sensory channels - visual, auditory and kinesthetic (including doing, touching, smelling and tasting). ֎ Bring comfortable clothes and a blanket. ֎ Change baby's diaper before starting the class. ֎ No cell phones in the classroom. ֎ If your child is too sleepy or tired do not bring him/her to class. ֎ Practice at home what you have learned. 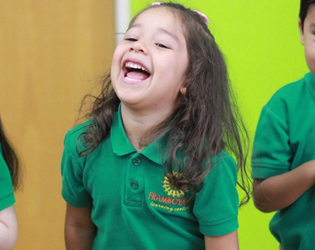 ֎ If you register for the early stimulation class, you are guaranteed a spot in our little seeds program. We seek to inspire talents, and believe in the power of art to ignite growth in human consciousness. We will guide our students to empower their lives through the arts. The ukulele originated in the 19th century as a Hawaiian adaptation of the Portuguese machete, a small guitar-like instrument, which was introduced to Hawaii by Portuguese immigrant. Ukuleles commonly come in four sizes: soprano, concert, tenor, and baritone. Students will learn finger and hand techniques, instrument parts, Ukulele/Guitar chords, tones and scales, as well as basic music theory. Ballet is an art form created by the movement of the human body. It is theatrical – performed on a stage to an audience utilizing costumes, scenic design and lighting. It tells a story, expresses a thought, concept or emotion. Ballet is magical, exciting, provoking or disturbing. Students will practice correct body posture, point techniques, basic positions 1-5, and dance rhythms’. Art is a diverse range of human expression which illustrates the author’s imaginative conceptual idea, technical skill, and is intended to be appreciated for their beauty or emotional power. Students will learn to identify different colors and mixtures of paints as well as the color wheel. A piano is a musical instrument classified as a percussion that is played by pressing keys. Each key is a lever that makes a hammer inside the piano hit a string producing a sound. Students will learn hand techniques, notes, piano key tones, composition and basic music theory. The performing arts curriculum will enable students to develop their social and ensemble abilities through the practice of stage presence. The class includes vocal and body exercises, theater games, monologues and duets. Students will be working as a team, developing characters, and learning the different roles of a theatre production. Vocalist or Singers perform music that can be sung with or without accompaniment by musical instruments. Singing is often done in an ensemble of musicians, such as a choir of singers or a band. Students will learn breathing techniques, correct singing posture, vocal cord functions, and fundamentals of stage presence as well as basic music theory. Learning a second language opens up a world of future opportunity. Research show that 21 countries speak Spanish as a native language, making it the second most spoken language in the world behind Chinese. 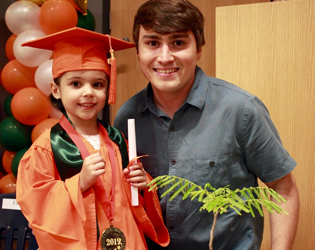 It’s never too early to begin learning a language: it’s fun, it promotes healthy development, and the many cognitive and social benefits that will last a lifetime. I am the master of my thoughts. Through Yoga exercises and conscious meditation we look to regulate our breathing with the objective to reach mindfulness. Being more conscious of their being, a student boosts their self esteem, self confidence, self trust, bettering their provision and integration to the social environment, academics and relatives around them. Soccer is a great sport for children to develop motor and social skills. Our weekly practices consist of a 15 minute warm up followed by an activity or drill that will cover skills such as dribbling, touching, shooting, and eye-foot coordination. Players will learn to work as team through friendly competition. You have the option to join our competitive co-ed team, or just come have fun with us at the practices. Our Framboyant Fire team will play at least one tournament per season. One free trial class of choice! Class will start with a minimum of 3 students. Ages: 18 mos. (walking) – 2 ½ yrs. Want more information on registering your child? All children have an inborn desire to learn, to do, and to know how to do. You as parents have the opportunity to stimulate this natural curiosity during the early first years. 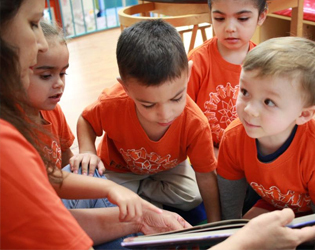 The purpose of this program is to nurture the child’s capacity to learn, to discover, to react to stimuli, to experience, and to satisfy the child’s need to learn. Prepare the child for the school environment. Tips for parents on how to handle the wide range of experiences that follow when kids arrive in our families. Provide the opportunity for structured play. Provide learning experience with mom or person attending with child. Stimulate the child’s neuromotor system. Facilitate materials for the cognitive development. Provide activities that promote language development. Promote social development by facilitating the interrelation with other children and adults. The songs and rhythms stimulate language. Coordination and memory. The didactic material promotes precision, concentration, reflexes and balance. Neuromotor activity promotes motor gross skills development. Mom’s guidance throughout all the activities, give the child security and confidence. Art Graphic activities, Didactic material. Comfortable clothes for mom and child. Please NO high Heels in the playground. Punctuality is a must, to make it easier for your child to integrate to the class. Make sure you change your child’s dipper before the class to comfort him/her. Let your child work independently (provide help when needed). Take the material to the table/floor in an order and in silence. 18 mos - 2 1/2 years.